The engraving above and photograph below show the extent to which the Church of St Martin used to be part of Cornmarket Street. 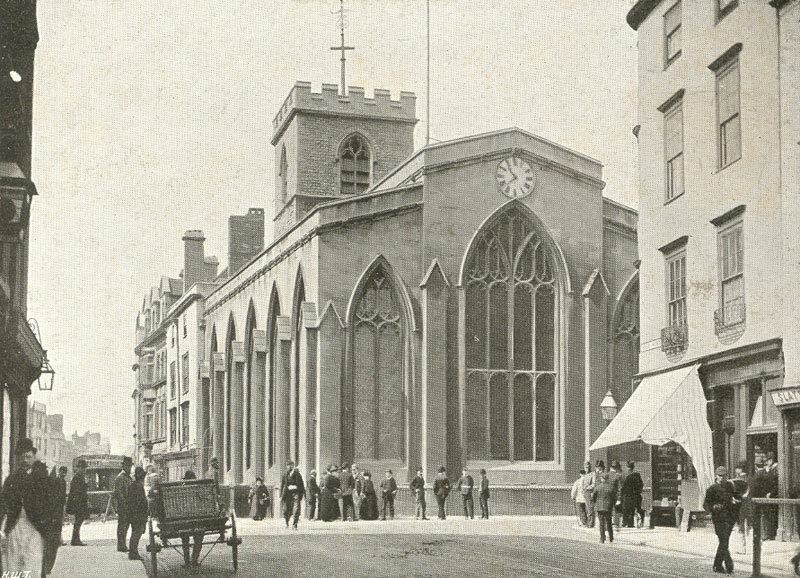 The engraving, made in 1836, shows the new church which had opened 14 years before in June 1822; while the photograph below was taken by Henry Taunt shortly before it was demolished in 1896 to make room for traffic at Carfax. Only its medieval tower has survived throughout and is still present today. 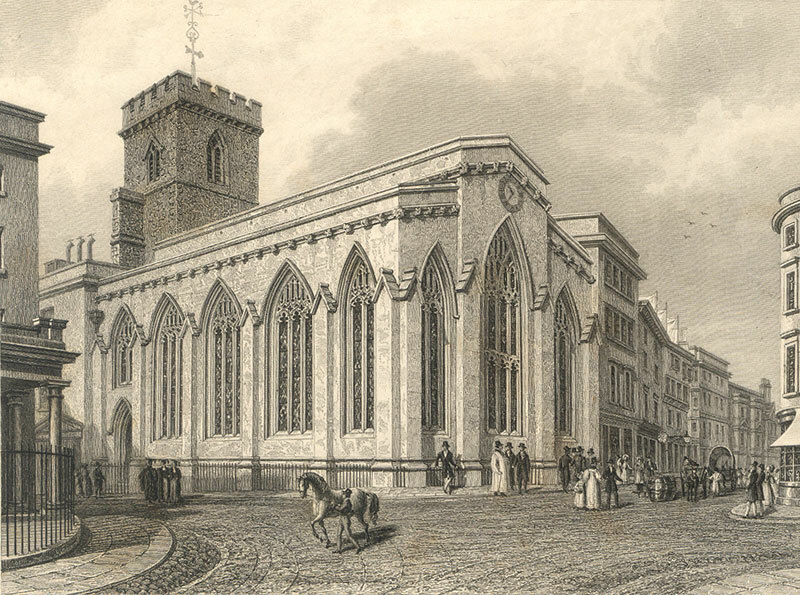 The original St Martin’s (or Carfax) church was built in the early eleventh century. It became the town church in medieval times, and in the reign of Henry II was probably used for council meetings. 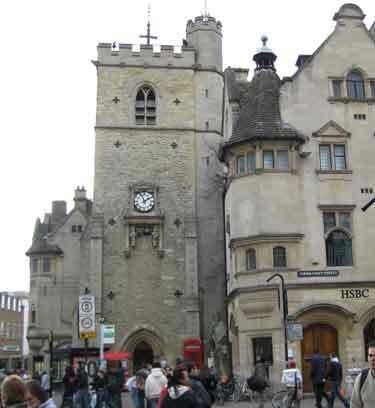 It is situated centrally at Carfax, a stone’s throw from the early Guildhall and the later Town Hall in St Aldate’s. By 1820 it had become unsafe, and was demolished (except for its tower) and replaced by the large church shown above. Right: the surviving medieval tower with the HSBC Bank to the right. The demolition of the church in 1896 upset the last City Rector, Carteret Fletcher, who started his history of the church with the words: “The Street Improver’s besom of destruction having just swept from the face of Oxford its oldest parish church, in which the Mayor and Corporation for more than three centuries regularly attended public worship”.